With the government introducing a new tax act in 2018, small businesses will need to familiarize themselves with a couple of differences that may affect their operations. 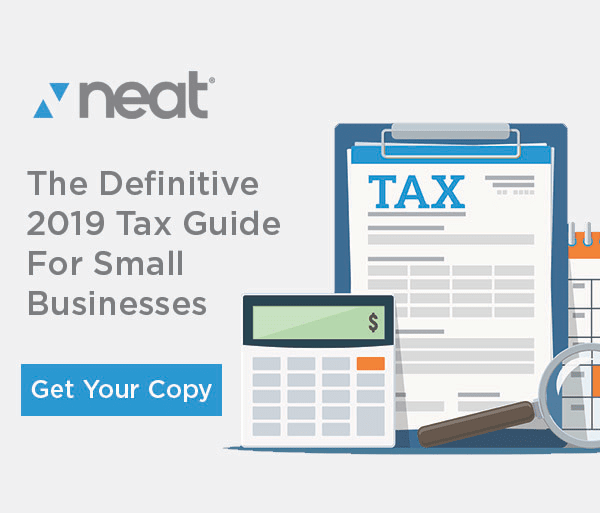 The new tax act is generally viewed as a win for many small businesses, but the tweaks mean it’s more important than ever to keep detailed records of all business transactions. Luckily, modern business applications, like Neat, make it quick and easy. Neat enables owners and employees to simply snap a photo of an important business document, like an expense receipt, and save it to their cloud so it’s always handy. 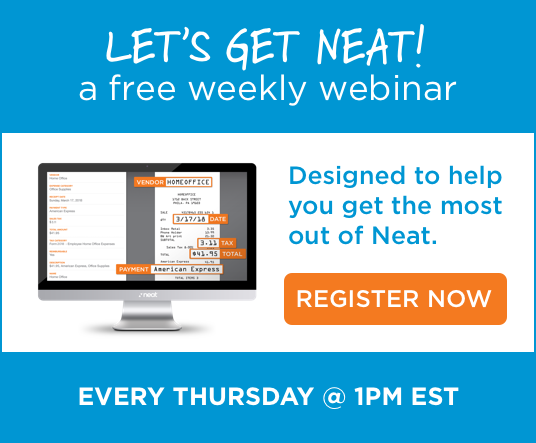 Neat also integrates with leading accounting software, like QuickBooks Desktop and QuickBooks Online, which means important data points, like totals, dates and vendor names, are immediately uploaded to the software. While receipt tracking is important, small businesses will also want to be aware of the differences in the new act that will affect the way they conduct their business, especially if they are used to taking clients out for meals and/or entertainment. Under the previous act, companies could expect a 50% deduction if they treated their best customers to a round of golf or bought tickets to a sporting event every once in a while. However, under the new act, that deduction is not so clear. While many are still waiting for specific guidelines from the IRS, under the current act, the expense deduction is no longer available, but employers can shift their client spend budgets to meals, which are still deductible by 50%. So, if a small business employs mostly 1099 workers, their W-2 limitation would be small, ultimately leading to their QBI being small. There are a number of other implications, like healthcare, but it becomes a math equation that the small business owner should look at with their accountant or bookkeeper. As small businesses approach the 2018 tax year, they should rely on their accountant or bookkeeper for all tax related questions while keeping detailed records of all business documents, even if they are unsure if they’ll need the documents further down the road. Using a smartphone to capture the information within the documents only takes a couple of seconds and will prevent any headaches that may arise once tax season rolls back around. The Neat Company makes cloud-based productivity software for small businesses that helps them better manage and provide real-time visibility to their expense and spending, while enabling secure document storage and remote collaboration with employees, clients or your accountant/bookkeeper. With its Web and Mobile apps, Neat enables you to capture expenses via phone/camera, email directly in, scan or direct upload. Once captured, the Neat software reads the information from the document and transforms it into a searchable database record that’s ready to be used in expense and spend reporting, tax preparation or save time by automating data-entry into to popular accounting apps such as QuickBooks.